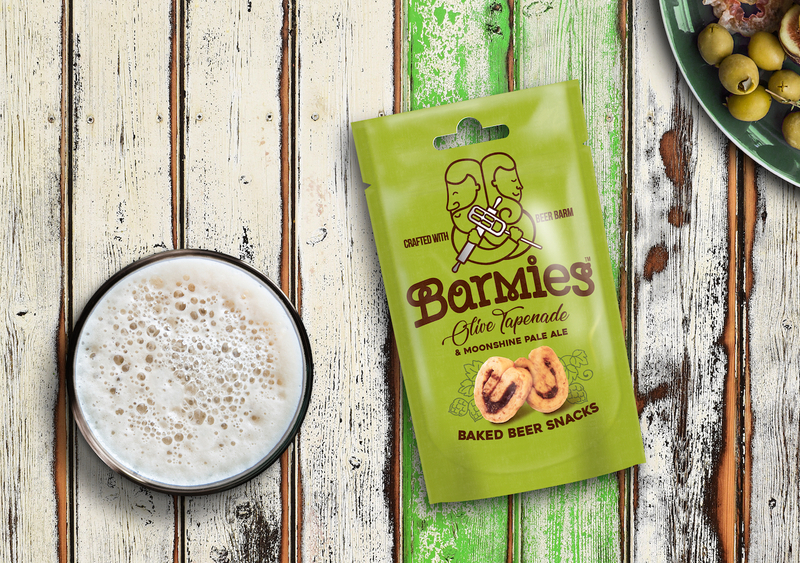 The Collaborators have created a new Brand Identity for Barmies, fermented savoury biscuits made using leftover beer barm from the brewing process. 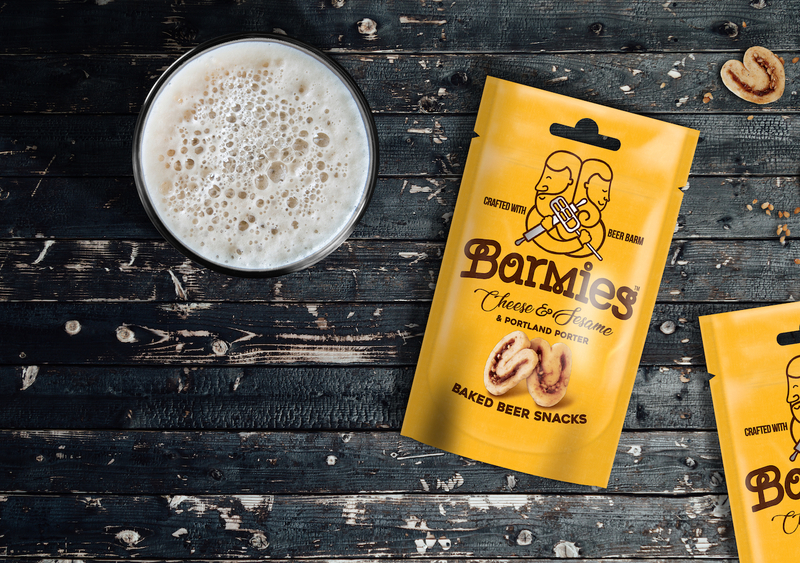 A unique product to the category, Barmies had to clearly communicate the nature of the product whilst also bringing flavour appeal. Drawing on the heritage of baker and brewer working side by side in rural communities, a folk-inspired look was established. With Baker and Brewer entwined, holding tools to represent their craft, The Collaborators designed the logo to bring meaning and tradition to a new unknown product. 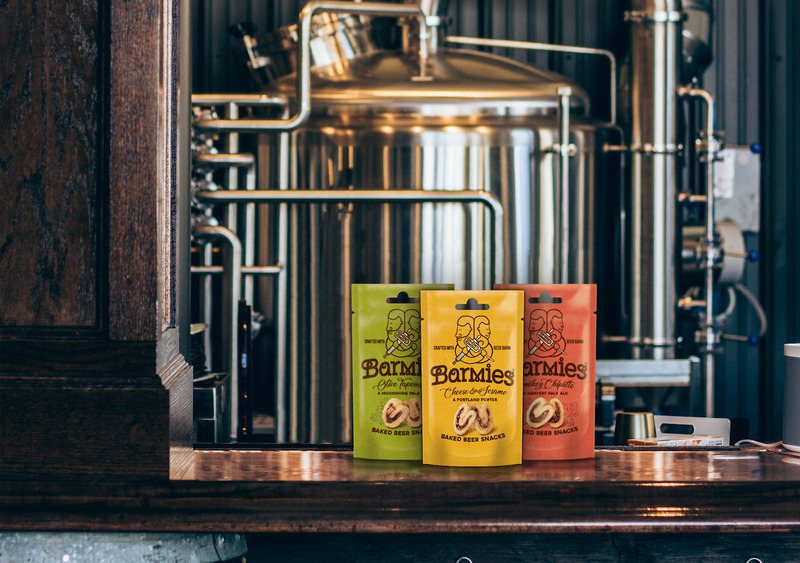 A warm and friendly palette was developed in a stand-out colour to reflect both the hue of the beer itself and the quirky personality of the brand. 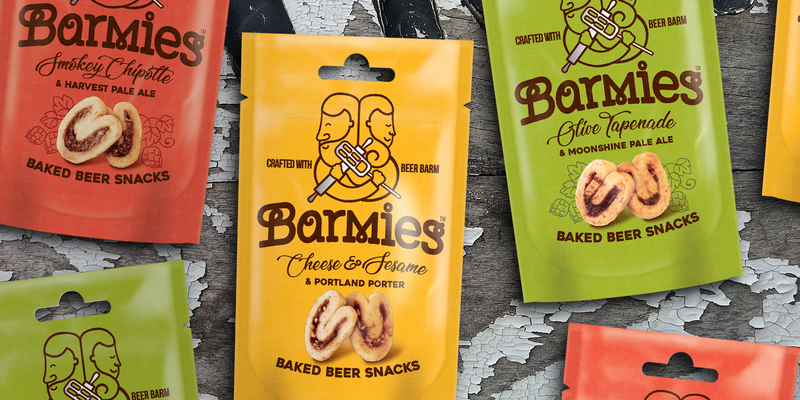 Typography was uniquely crafted to add a quirky touch and mimic the curly shape of the snacks themselves. 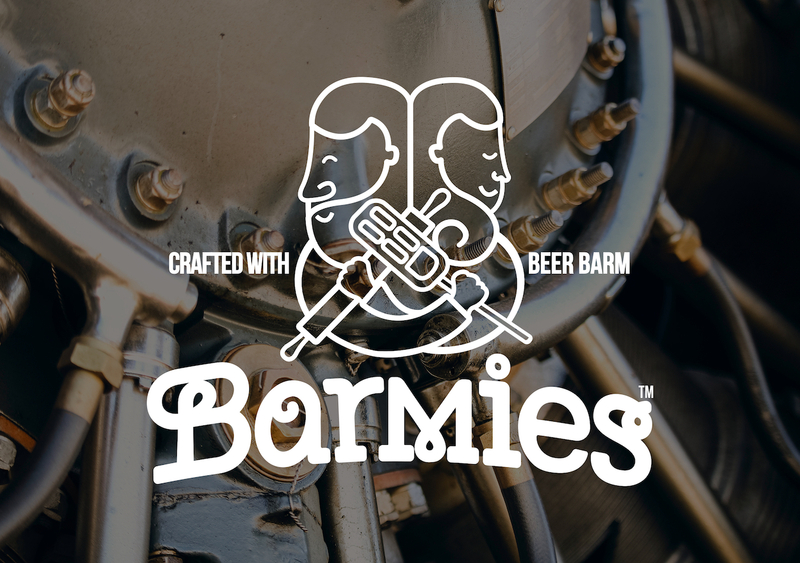 Barmies’ partnerships with well-known beer names such as Moonshine Pale Ale was also featured in the design, to leverage the brand’s profile and add more flavour appeal to the front of the pack.